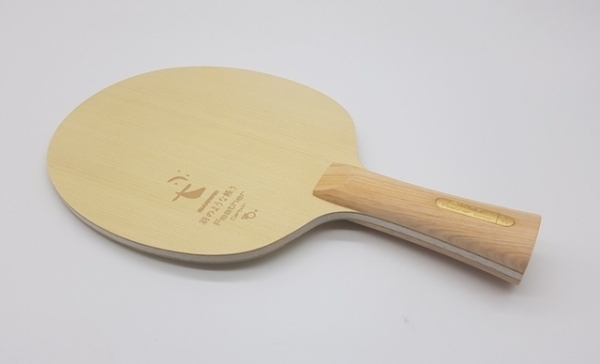 One of the lightest and most interesting offensive allround blades on the table tennis market. 5+2 construction consisting of balsa wood core, 2 soft middle layers, 2 carbon layers and 2 hinoki veneers. The result is a blade that is very well balanced with the weight very evenly distributed. The combination of layers ensures a large sweet spot, high dynamics and power yet at the same time lots of control and loads of spin potential! Recommended for modern allround offensive table tennis players.